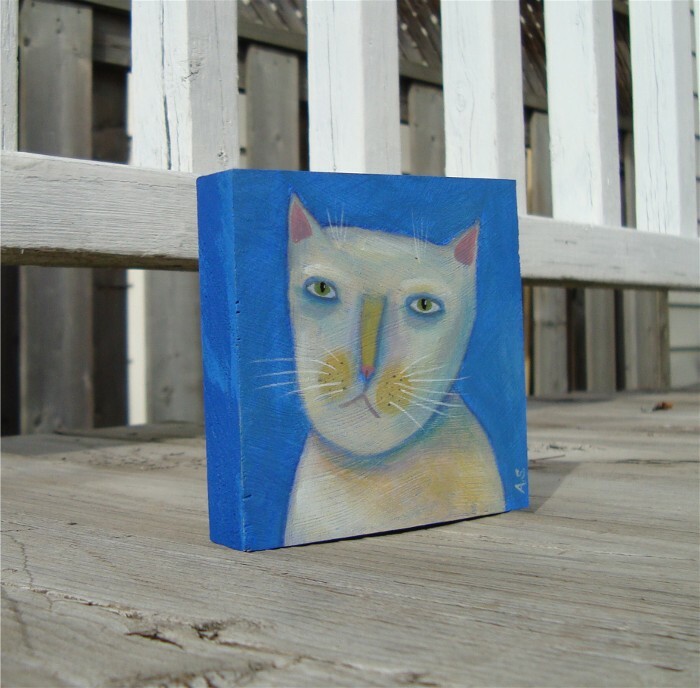 An original painting of a cat, completed with acrylics on a pine wood block. 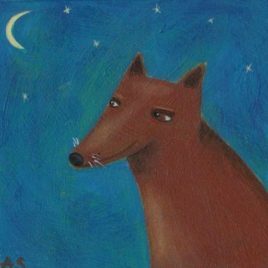 It measures 3.5 x 3.5 inches. 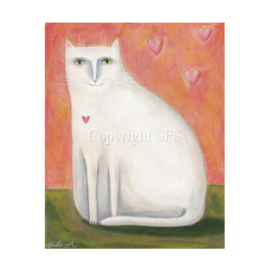 Buttermilk is an original painting that features a lovely cream coloured cat with a sweet disposition. 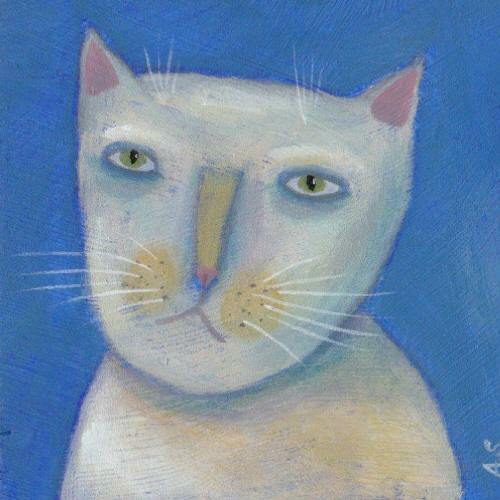 “Buttermilk” has been painted with acrylic paint on a block of pine wood that measures 3.5 x 3.5 inches (9 x 9 cm). It has a thickness of approximately 3/4 ” (0.5 cm) and the sides have been painted blue (the same shade as the background). 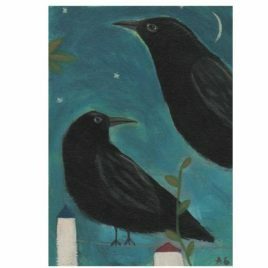 This painting is perfect for display on a shelf or desk. 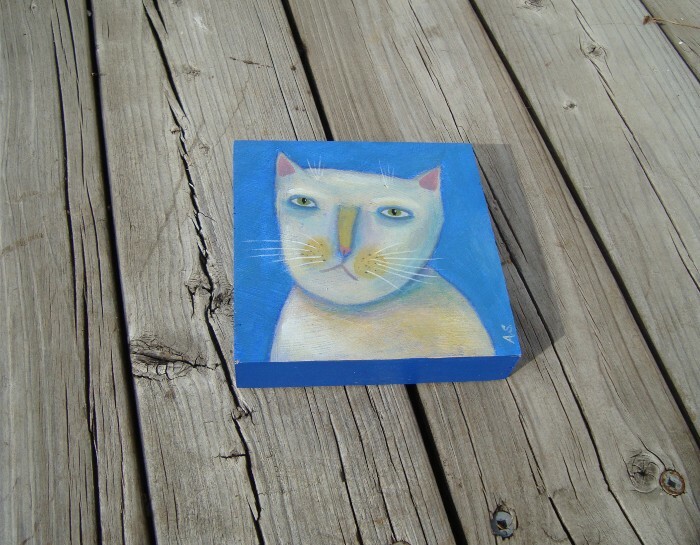 An original painting of a brown dog on pine wood block. 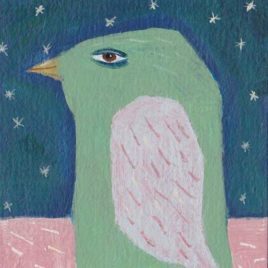 It measures 3.5 x 3.5 inches (9 x 9 cm).